We have supplied our 10.000th Counterflow system. The company started in 1980 and quickly decided to specialize exclusively in the counterflow cooler as invented by its founder Pierre Geelen. The efficient counterflow heat exchange between product and ambient air proved to be a winner in the feed industry, with more than 30% savings in energy consumption, floor-space and investment cost compared to the incumbent horizontal belt coolers. Over the years the company became the global market leader for coolers in feed, petfood, aquafeed and oilseeds, partially by supplying coolers to nearly all of the major producers of pelletmills and extruders worldwide. Since the late 1980’s the company is also building counterflow dryers for food, petfood and aquafeed, using the same superior efficiency provided by the counterflow heat exchange principle. The flagship multi-deck batch dryer has become the standard for many of the world’s leading producers of extruded petfood and aquafeed, because of its high hygienic standards and fast change-overs between production runs. Dryers typically consume 40-60% of an extrusion line’s total energy consumption, but counterflow dryers consume 20-50% less energy than belt dryers. So very significant savings are usually possible. The company produces all of its steel and stainless steel components in-house, using state-of-the-art laser cutting, bending and welding technology. 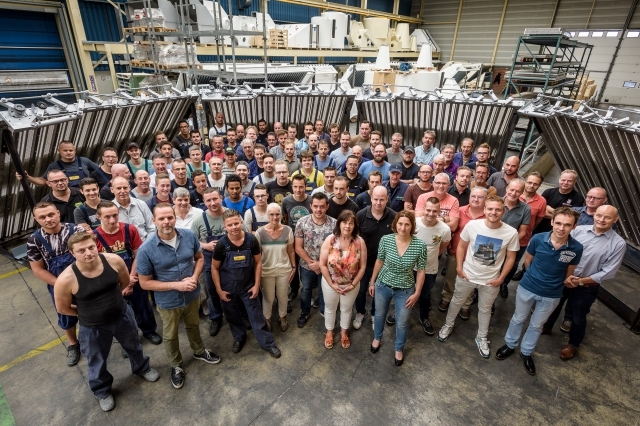 A workforce of 100 in Haelen, the Netherlands designs and builds coolers and dryers for customers worldwide. A Field Service Team of 15 in Europe, Asia and Latin America supports customers with installation, commissioning, training and service.